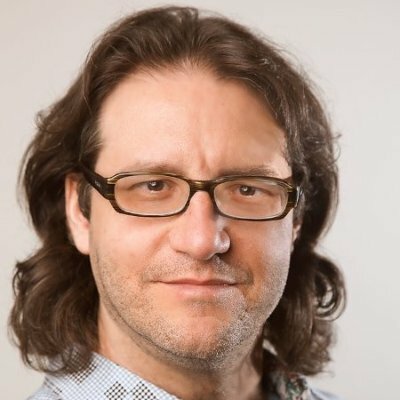 Brad Feld is an early-stage investor, entrepreneur and author based in Boulder, Colorado. Brad is the managing director at Foundry Group, a venture capital company he co-founded in 2007 that’s focused on supporting entrepreneurs, investing in early-stage information technology firms, and identifying the next generation of venture fund managers. He was an early investor in and/or sat on the boards of companies such as Zynga, Fitbit, Makerbot, FeedBurner, Moz, Craftsy and many others. Prior to Foundry Group, he co-founded Mobius Venture Capital and Intensity Ventures, a company that helped launch and operate software companies. In 1987, when he was 19 and studying at MIT (holds a bachelor and master’s degree in Management Science), Brad co-founded Feld Technologies, his first company, a custom software development startup which catered mostly to small and medium sized businesses. It was later acquired by a public company. He’s also a co-founder of TechStars, a worldwide network where they surround first-time entrepreneurs with mentors in order to help them succeed. Brad himself has transitioned in the recent years towards a coach and mentor oriented role. Together with his wife, Amy Batchelor, Brad runs the non-profit organization Anchor Point Foundation, where they’re helping non-profit organizations and leaders creatively solve problems in their communities around the world, in arts, education, women’s rights, and more. Brad has also written and co-written many books where he addressed topics such as entrepreneurship, technology venture capital, and startups. As part of a series called Startup Revolution, Brad co-wrote “Startup Life” with his wife, Amy, where they share their personal experiences on what it takes to survive and thrive in a relationship where at least one of the partners is an entrepreneur. His “Venture Deals: Be Smarter Than Your Lawyer and Venture Capitalist.” book is the best resource for anyone who wants to understand how venture capital fundraising and investing works. He also runs an online course on this theme, that was taken by over 15,000 people. He’s been blogging since 2004 on Feld Thoughts, where he writes about his personal and professional life, including ideas from the books he reads or running races reviews. He is a long-distance runner and has completed 25 marathons as part of his goal to run a marathon in each of the 50 American states. After a break from this habit in 2018, he’ll get back to marathon races in the spring of 2019. In 2018, Brad deleted Facebook and changed how he interacts on the few social media services that he still uses: he stopped consuming daily news or random noise and turned towards a broadcast-only mode, where he only shares things that others might find useful. Brad’s an avid reader and always reviews books on his blog. He also sends his favorite books to those entrepreneurs he invests in through Foundry Group. In 2019, Brad’s focused on writing a new book titled “The Startup Community Way”.